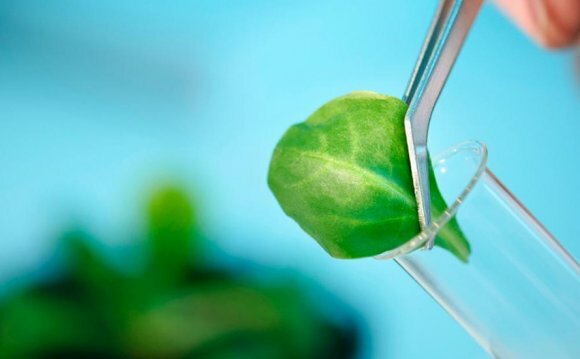 Genetic engineering (GE) has often been touted as a crucial part of the solution to the agricultural challenges of the 21st century. Are these claims borne out by evidence? Palmer's amaranth (pigweed), one of several weeds that have become resistant to glyphosate herbicide due to overuse of GE herbicide-tolerant crops. Genetically engineered crops have provided benefits in some areas, though these benefits tend to come with problematic tradeoffs. For example, the use of herbicide-resistant GE crops has saved farmers time formerly devoted to mechanical cultivation and spot spraying, but has also driven the consolidation of monoculture farming at larger scale. Monoculture by definition reduces biodiversity, making farmers dependent on chemical inputs rather than natural processes to manage pests and the soil nutrient cycle. GE technologies have made it easier to use "conservation tillage", or reduced plowing, a practice that significantly decreases soil erosion. Heavy tillage was previously used largely to control weeds. However, conservation tillage in the context of industrial agriculture is turning out to be a mixed blessing—and overuse of engineered herbicide-resistant crops has driven a destructive epidemic of herbicide-resistant "superweeds, " which is reviving tillage. And while conservation tillage has some important benefits, it needs to be incorporated into broader agroecological farming practices to address most of the challenges of industrial agriculture. Genetic engineering so far is not leading to the adoption of agroecological farming. Similarly, Bt corn has reduced the use of sprayed insecticides, but its adoption has coincided with sharp increases in the use of neonicotinoid seed treatments, which have been tied to declining populations of birds and beneficial insects such as honeybees. And as with herbicide-tolerant crops, the benefits of Bt corn are being eroded as pest insects develop Bt resistance, forcing farmers to look for other, potentially more toxic options.